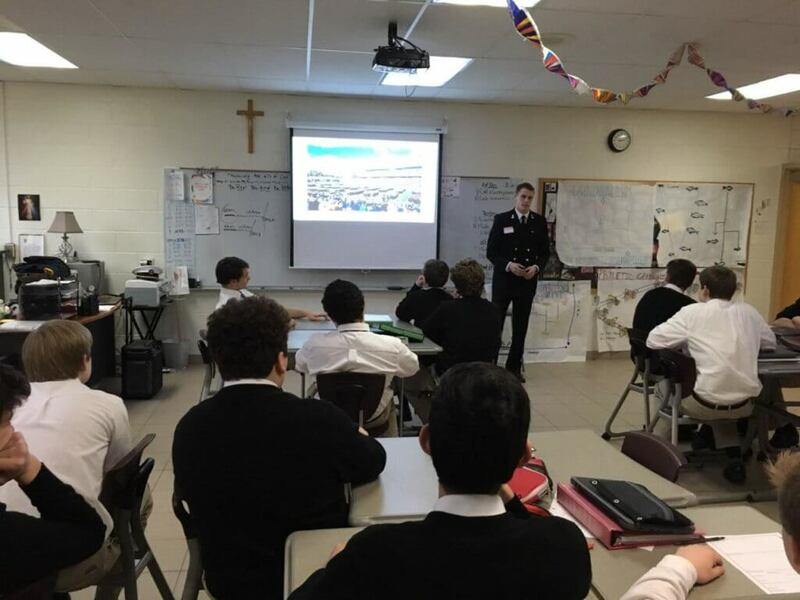 Midshipman 4/C from the United States Naval Academy, former student of EC science teacher Krista Willertz, spent the day interacting with students at Everest Collegiate on March 13. 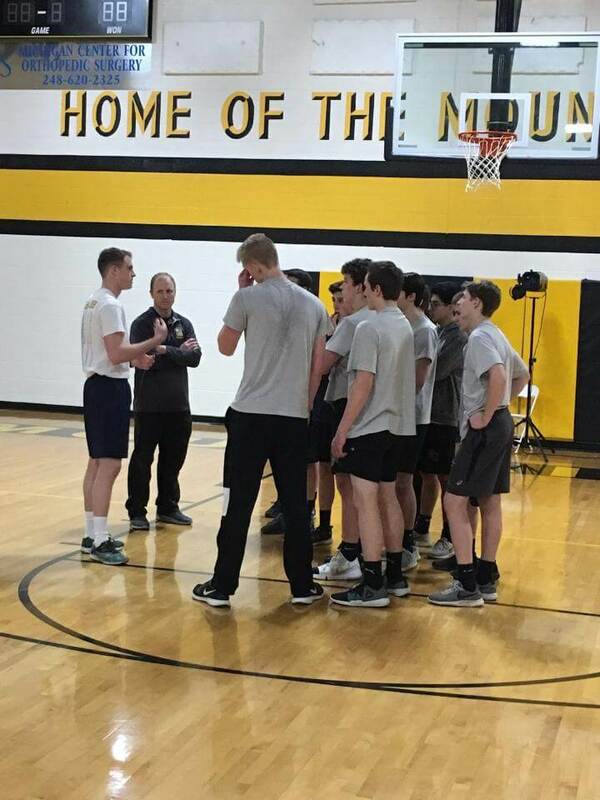 Matthew visited several classes, ate lunch with the student council, and the junior military club, and led the sophomore boys physical education class through a Naval Academy workout. 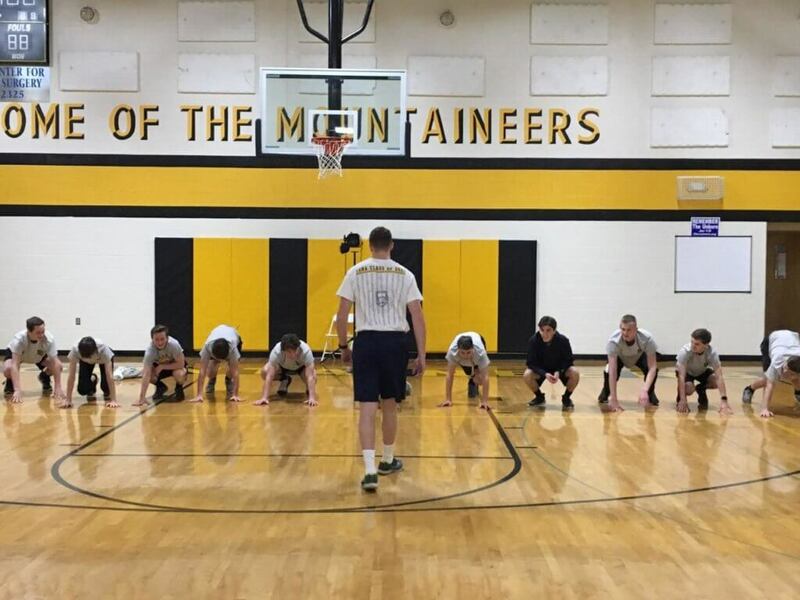 Matthew shared his experiences with life at the USNA and also how he overcame some serious obstacles to get accepted. He was born with a defect in one of the muscles of his right eye that results in him not being able to turn his eye in certain directions. 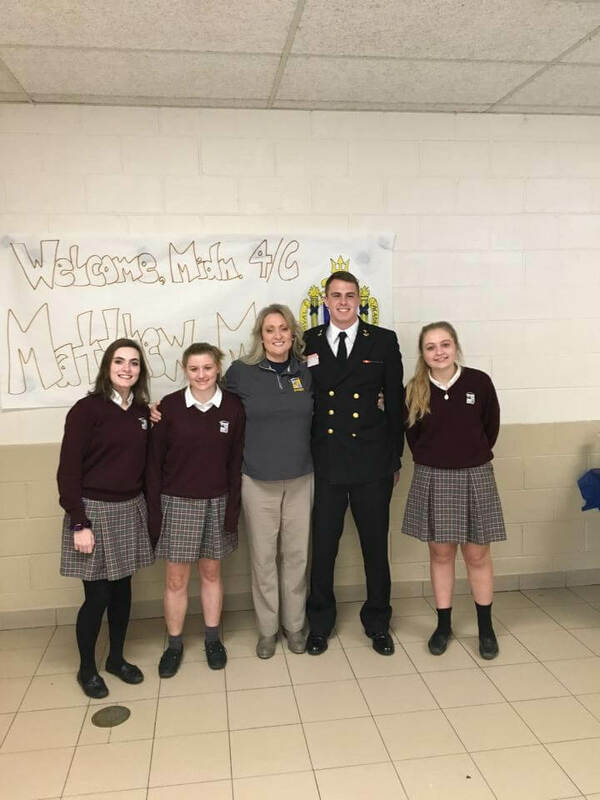 During the medical screening process to apply to the USNA, Matthew was told by a doctor that he would probably not be accepted because of the defect. Rather than allow this to be the final answer, Matthew pursued every avenue to eventually obtain a medical waiver and achieve his goal of attending the USNA. 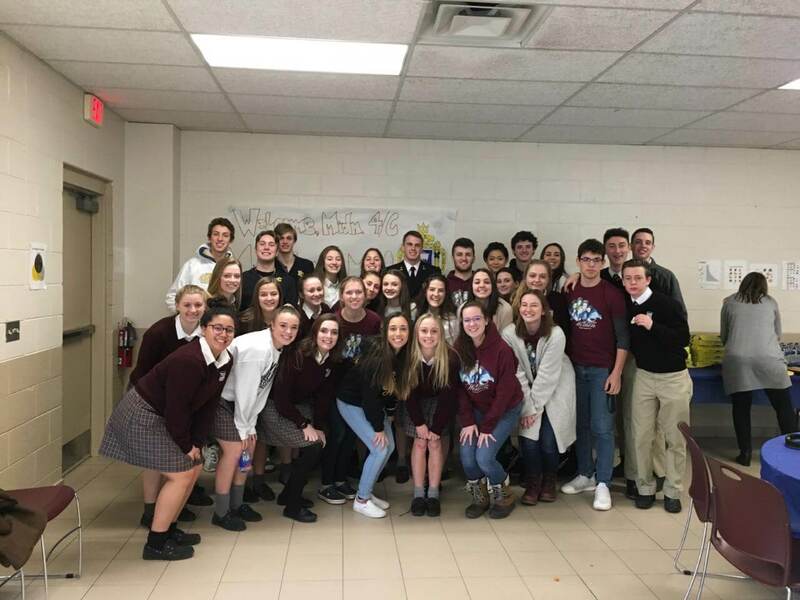 During his time with the students, Matthew also discussed the importance of organization, having a good work ethic, and avoiding social media as ways to succeed in life. He hoped to inspire one or more students at EC to consider serving in the military or to apply to one of the military academies.